Today is the first day that self-driving cars can legally drive on the streets of California without a human safety operator inside them. As the Silicon Valley-based outlet The Mercury News put it, today should be historical. Except there will be no unmanned driverless cars legally on the roads today. A spokesperson from the California Department of Motor Vehicles told Gizmodo today that only one entity working on autonomous cars has requested the required permits from the DMV and the department has yet to review the application. There are reportedly about 50 companies in the state that are developing self-driving car technology. The spokesperson would not share the name of the company that has applied for a permit until the DMV can determine the application is complete. In February, California approved regulations allowing unmanned vehicles to cruise amidst human-driven traffic. At the time, companies invested in self-driving cars were optimistic about the development. 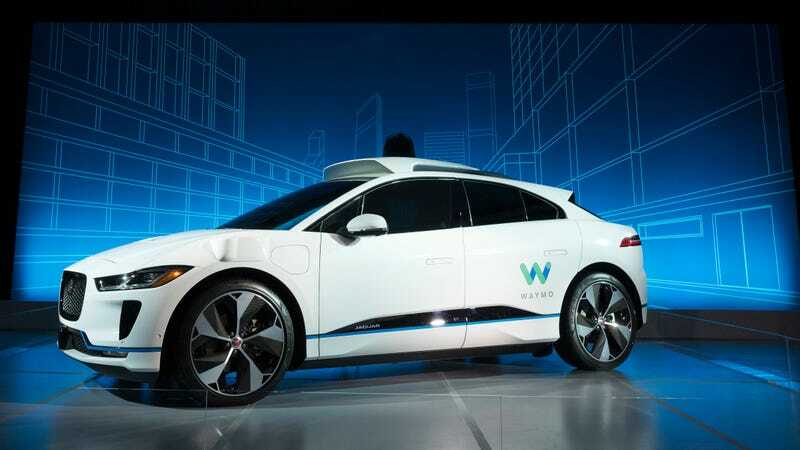 “This is a significant step toward an autonomous future in the state, and signals that California is interested in leading by example in the deployment of autonomous vehicles,” Uber spokesperson Sarah Abboud said in a statement to several news outlets earlier this year. But Uber’s self-driving car plans have changed after an Uber autonomous car hit and killed a pedestrian in Tempe, Arizona last month. After the fatal crash, Uber suspended its self-driving car tests. Uber did not immediately respond to Gizmodo’s request for comment on if the company had any plans to apply for self-driving car permits in California. Abboud told Gizmodo Uber had nothing to share at this time. She told The Mercury News last week that the company would not comment on the California legalization of driverless cars as the company is busy working with the National Highway Traffic Safety Administration and National Transportation Safety Board as the groups investigate the fatal crash. Uber ramped up its self-driving car program in Arizona in December 2016. The company moved a fleet of self-driving cars from San Francisco to Arizona after California revoked the registration of Uber’s test vehicles because the company had failed to obtain the proper permits to operate self-driving cars with a safety operator inside.